The first time I saw Trent Reznor of Nine Inch Nails was in concert for the Pretty Hate Machine tour in 91. It was at the Gothic Theater in Denver and I remember thinking at the time as he swung out over the audience on a long rope; ” if he falls, they will eat him alive”. That is they type of fervor (almost rhymes with Reznor) that NIN has always elicited. If you took all of the bold letters from the Nine Inch Nails concert shirt and strung them together it would spell out iamtryingtobelieve. If you then entered that URL into a browser it took you to a site that talked about how Parepin (a pharmaceutical) induces mass psychosis. The site’s contents had nothing to do with NIN but the graphics felt familiar to NIN fans. 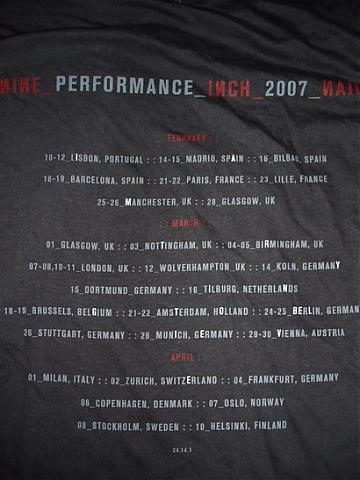 That same shirt also had a Los Angeles based phone number hidden in the tour dates. When called the number had a recorded message of a presidential address followed by a snippet of new NIN song. A USB flash drive left in the bathroom of a NIN concert with an unreleased NIN song. The metadata tag gave clues to a site showing a wheat field. If you clicked and dragged over the top of the image a much more nightmarish image became visible. Another flash drive (left in a concert venue bathroom) had a song that ended with the sound of crickets. When the chirping was put through a spectrograph it revealed a Cleveland phone number. This phone number had a recorded message of a woman trapped inside a nightclub. She was hysterical and is heard saying that her friend had been killed and everyone in the club had been locked inside by the police and they were going to die. Obviously under the influence of Parepin. These elements painted a bleak picture of the very near future and left NIN fans wondering if it was going to be an online game or an album or something else. 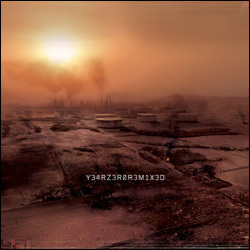 Mr Reznor’s ultimate goal (in his own words) was to create the “worlds most elaborate album cover using the media of today”. He is also quick to point out that what he was not marketing or trying to sell something. What he was doing was playing on the inherent nature of the Internet and his fans. He extended the idea of being found to the concept of discovery. This was possible due to the interactive nature of the Internet, NIN’s online community and the intelligence of its members. Jordan Weisman the founder of 42 Entertainment believes that no puzzle is to complex and that the collective’s wisdom can solve anything. This is hard to argue with when you think that someone ran cricket chirping through a spectrograph to get a phone number in Cleveland! Weisman goes on to ponder; “How to reach people who are so media-saturated they block out all attempts to get through?” This combined with the fact that the Internet is entirely on-demand makes it necessary for companies to utilize discovery as one of the primary marketing methodology. This is especially true as more people use Google as their primary tool for finding products and services; bypassing company’s home pages completely. I recently wrote a post entitled the death of the home page and believe that soon online businesses will be more like a series of microsites, completely porous, allowing search engines to put people on the exact page they need. I would like to extend that concept to the entire landscape of the Internet giving special mention to web hot spots. Instead of simply having numerous microsites, a business needs to be participating in other online discovery opportunities or “Discovery Outposts” such as Wikipedia, YouTube, flickr, and Facebook. As a company, you need to be ready when you’re discovered. Your brand identity must be fully developed for the medium in which you are now engaged. The Internet represents multiple mediums and this makes branding strategies complex animals. 42 Entertainment and Trent Reznor extended the concept of discovery into the physical world and drove his fans to the online world where they used the online communities (The Spiral, Echoing the Sound) to spread the world where the power of recommendation reigns. According to Weisman the internet is becoming more about establishing relationships before inviting them to participate in a transaction. More of a craftsmanlike relationship. He goes on to say that “All marketing is headed in that direction”.